Uglyworld #539 - Trunko's Favourite Drink (141-365), originally uploaded by www.bazpics.com. 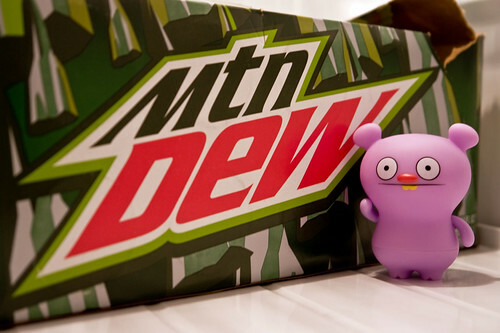 It turns out that Trunko is a massive fan of Mountain Dew. I found this out tonight when I returned to my hotel room to find the fridge stacked full of the stuff!! !